Adding a vibrant and bold statement with pink colours has only recently become a stylish interior design trend within kitchens and bathrooms. This increase in demand has resulted in a greater variety now readily available on the market. 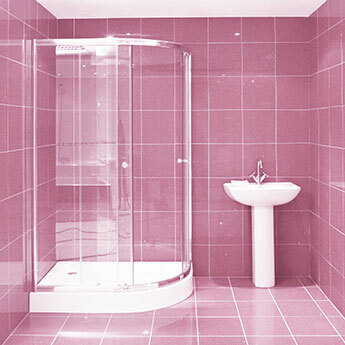 Pink colours can produce a distinctive style and also a large degree of elegance. You can order a sample today to determine whether or not they work as part of your design theme. Pink was generally considered as a feminine colour. Recently, however, it has been used in a range of different ways in the worlds of both fashion and interior design. As a result it is not viewed solely as a feminine colour anymore. 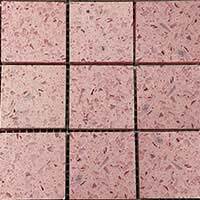 This acceptance as an all-round decorative option has led to an increase in demand for pink shades. It is not necessarily used as the primary colour within designs. It is instead utilised as a feature, for example as a splash back wall or border feature. The popularity has grown within both residential and commercial markets. We have many options which are a hard wearing and low maintenance choice for public areas, including hotels and shops.